Common Area Expenses-What are Common Area Expenses for Restaurants? You are here: Home / Restaurant for Lease / Common Area Expenses-What are Common Area Expenses? When do you pay Common Area Expenses? Common area expenses or NNN charges for each year are estimated and typically paid monthly with your rent payment. These charges are usually defined on a monthly or yearly price per square foot similar to rents. For Example, a property may be offered at $2.00 per square foot with common area expenses, property taxes and insurance estimated at $.50 per square foot. At the end of each year, the common area expenses are reconciled and you will either owe the Landlord additional money for underpayment or receive a credit for over payment. How are Common Area Expenses Determined? Your “Pro Rata” share of common area expenses is calculated by dividing the size of your store by the total square footage of the property. For example 1,000 square feet divided by 10,000 square feet equals ten percent (10%). If you are the only Tenant and occupy a free standing building, you will pay 100% of the common area expenses. In summary, you need to consider the total occupancy cost rather than just focus on the rent. As you can see common area expenses can increase the total occupancy cost required to operate your business. WARNING! Common area expenses can increase dramatically. It’s important to understand which expenses can spiral out of control. For example, Property Taxes can often double when an older property has sold. 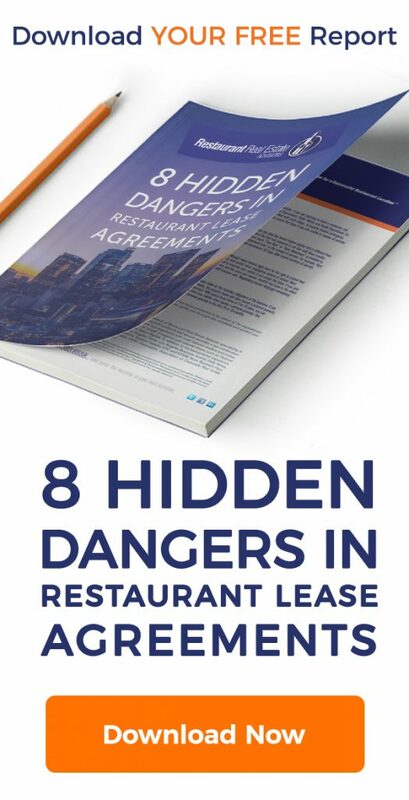 An experienced real estate advisor or attorney specializing in restaurant leasing can guide you through this minefield and protect you from unexpected expenses. I am amazed at all you do. I did not know you had an ebook. That would make for a great blog post to talk about it! I know you are swamped but people always want to write a book and you did. You can tell them about the process and what and how you use it. Love it. Oldie, but a goodie. Thanks Linda! I’m working on a few ideas for your blog. I will call or email for your review soon.